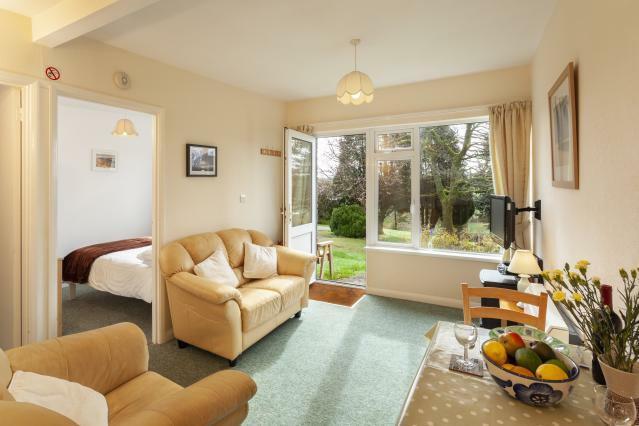 Lynton is a fantastic holiday location on the North Devon coast, within Exmoor National Park. 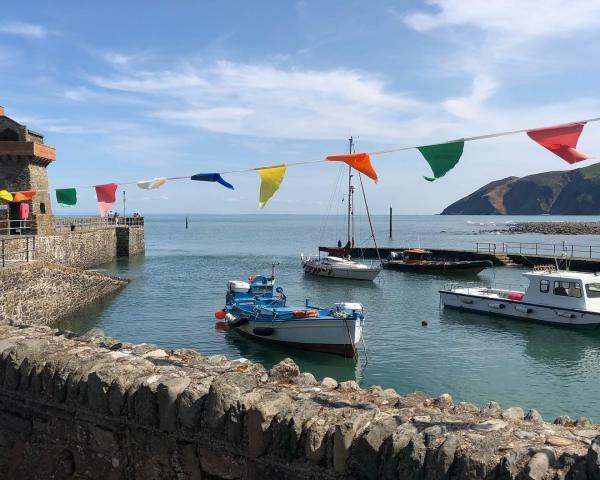 We have a varied selection of cottages available for self-catering accommodation in Lynton, Lynmouth and the surrounding region. Dramatic cliffs, a funicular railway, The Valley of the Rocks all make a worthwhile visit from here! Only 20 minutes drive away is Porlock, or head west to visit Woolacombe and Ilfracombe beaches. 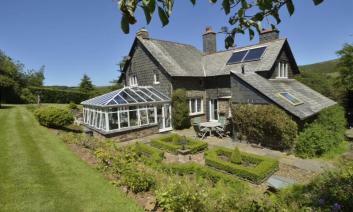 Please find below a selection of self catering holiday cottages to rent in or near Lynton. 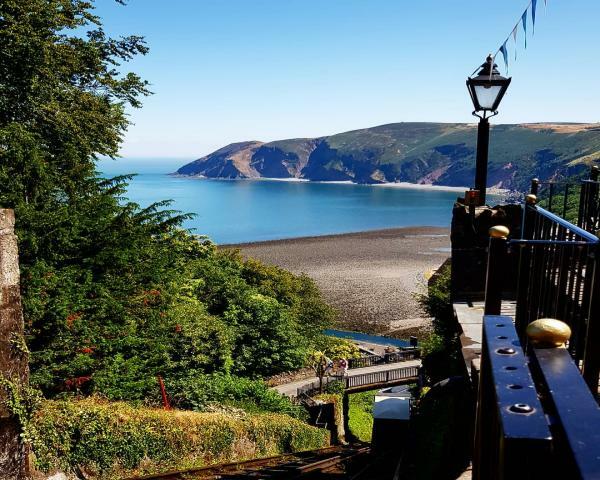 Lynton is a small town spectacularly set on top of cliffs overlooking the stunning North Devon coastline and the picturesque harbour village of Lynmouth, to which it is connected via the famous Lynton and Lynmouth Cliff Railway. In addition to the appeal of this unique funicular railway, consisting of two cable-cars powered purely by gravity and water, just half a mile west of Lynton is the beautiful Valley of the Rocks with its fascinating geology and roaming herds of goats that cling to the adjacent hills and cliffs! Visitors who enjoy walks with phenomenal views will also find themselves in an absolutely ideal location for exploring a host of local hiking routes such as the South West Coast Path, Tarka Trail, Two Moors Way, Samaritans Way South West, and the Coleridge Way. The town itself, meanwhile, boasts many delightful buildings constructed in the late 19th or early 20th century. Also the Parish Church of St. Mary, with its original 13th-century tower. 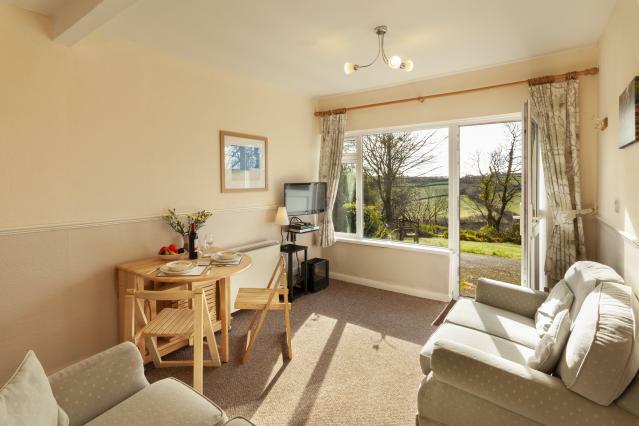 We offer a wide variety of holiday cottages to rent in and around Lynton and North Devon, from cosy easy-access rentals for couples in the town itself to larger, dog-friendly properties in the countryside just outside Lynton, where groups of friends, families, or even multiple families can stay together. Almost all of our Exmoor cottages are dog-friendly; just look for the paw icon which indicates that pets are welcome. Lynton provides quick and easy access to some of the finest footpaths and landscapes in the country, ensuring that both humans and canines alike can get some exercise and soak in the scenery. Furthermore, lots of the local beaches are also dog-friendly, and many of the pubs and cafes in the region even welcome dogs, too. 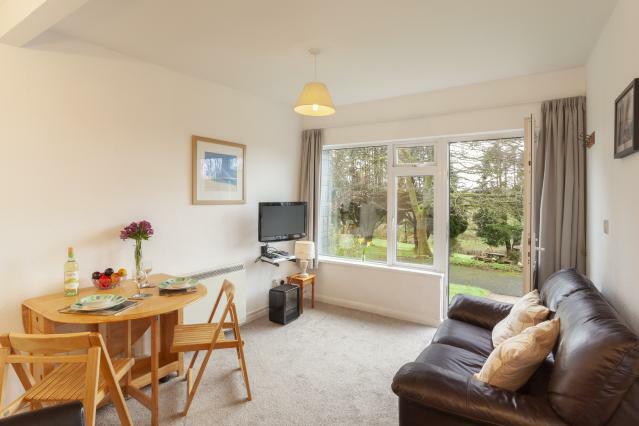 For those more familiar with staying in hotels, B&Bs, or caravans, you may find that opting for self-catering Lynton accommodation would offer a number of benefits. 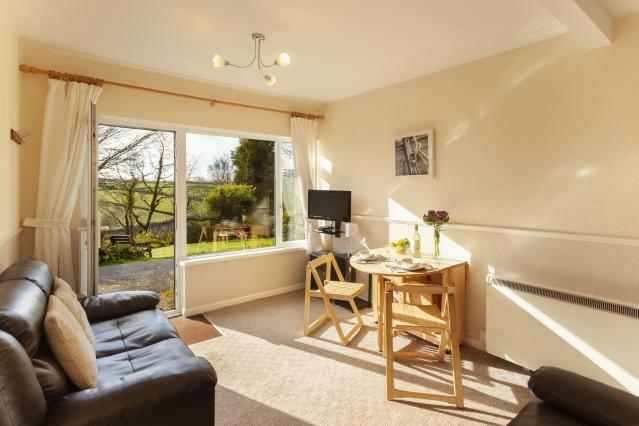 Rental of a holiday cottage allows unparalleled freedom and flexibility, providing the experience of a home-from-home as opposed to the more limited option of a traditional hotel. And for those not looking for a week-long trip, flexible start days and short breaks are available. Outside of Lynton, there is so much more to do across the rest of Exmoor. 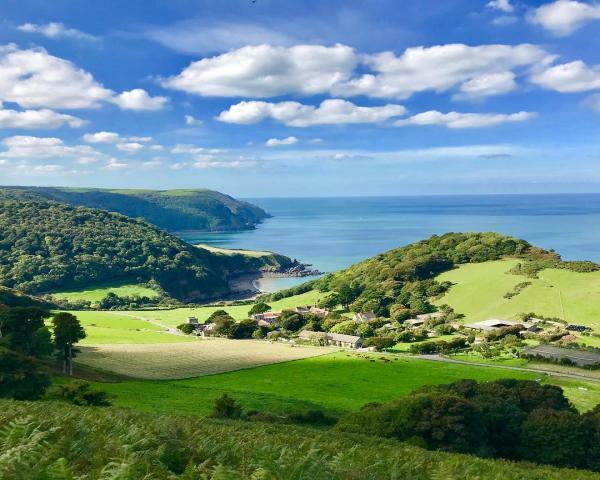 The North Devon coast has stunning, dramatic landscapes to explore, such as the Valley of the Rocks, located just half a mile West of Lynton and Lynmouth, and endless amounts of incredible footpaths and hiking routes, complete with phenomenal views. The east side of Exmoor National Park lies within Somerset, where you can visit Wimbleball Lake to the east or Tarr Steps to the south. 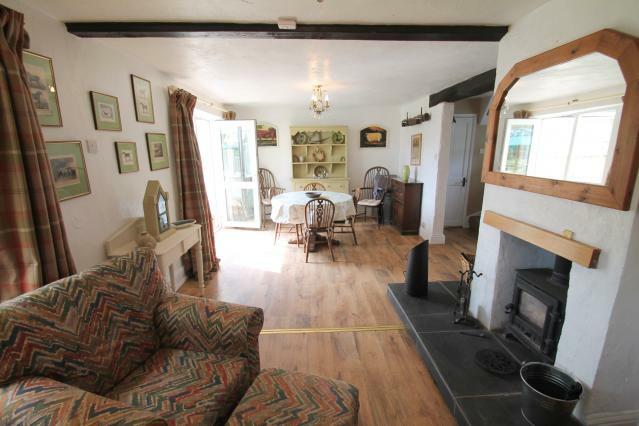 Here at The Best of Exmoor, we have over 150-holiday cottages available for self-catering holidays across the whole of Exmoor, so have a browse and find your perfect place to stay.